There are a host of questions about Sekunjalo’s purchase of South Africa’s biggest English language newspaper – and online news – group, Independent Newspapers, which took effect in August 2013. There has been a lot of secrecy about how much money was involved, especially from the Public Investment Corporation, which manages the pension funds of teachers, nurses, policemen and women and public servants, the overwhelming majority of whom are black. There apparently is much to hide. 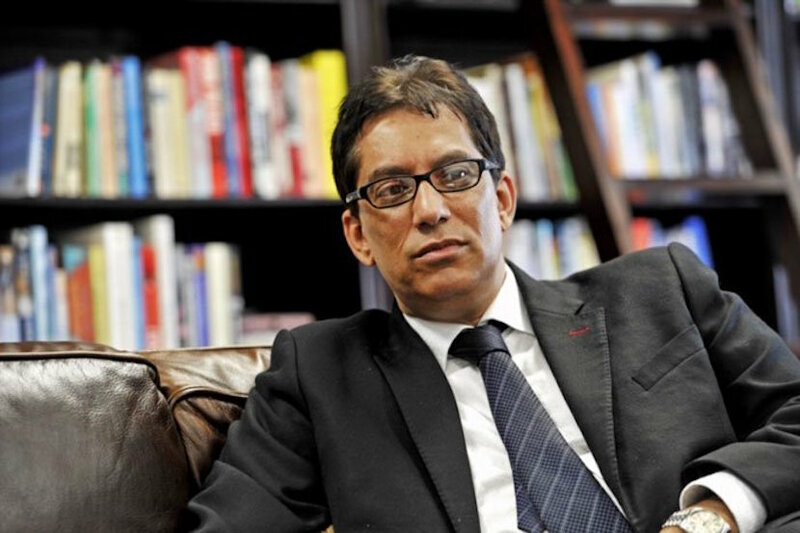 Why else would Dr Iqbal Surve, the owner of Independent Group who was previously the boss at Sekunjalo, cast all those as racist who have exposed this distinctly questionable transaction – some would use stronger words to describe it, but I won’t – involving R880 million, and counting, of pensioners’ monies. To ignore this story would be tantamount to treason. Read Aunty Iqbal’s version of events. Read also: James Myburgh: How independent is Surve’s Independent with R900m PIC debt? Iqbal says that “our detractors”, who he also calls “media stooges” – which include Terry Bell, Ann Crotty, Pressly, Alec Hogg, Ed Herbst “and the other adherents of a white-controlled media” – were not above telling lies in their attempts to undermine Independent and the PIC “saying that government pension money was used to ‘bankroll’ Sekunjalo’s takeover of Independent. Well that is what has happened, has it not? Who is it exactly that benefits from this money going to Independent? Is this slush fund helping to pay Surve’s R500 000 a month (yes a month) salary as executive chairman of Independent? According to the PIC itself no money has to be paid back for five years, until 2018. Surve says R150 million has been paid back already “with a portion also accounting for the 20 percent equity taken by the PIC in Independent”, whatever that means. As usual there are more attacks on journalists than answers in Aunty Iqbal’s diatribe. The media needs to continue to chip away at getting more answers about what has happened to pensioners’ money. Aunty Iqbal is right about one thing, we need to question PIC money that is going to other media groups too, whether they are white or black owned or somewhere in between. In an environment where the media, especially newspapers, are contracting internationally, why is it that the PIC wants to invest pensioners’ money in bottomless pits? PIC senior fund principal for private equity Koketso Mabe was reported as saying that 70% of the PIC funding sat on the Independent Newspapers balance sheet while 30% was a direct loan to Sekunjalo. Neither of these amounts needed to be serviced in the first five years. However, the Independent Newspapers stake could be converted to equity or sold after five years. Only the Sekunjalo stake would ultimately have to be repaid. We should all be screaming from the hilltops – journalists and citizenry alike – about why about R1 billion (with interest on the initial sum) is being effectively “gifted” to Independent? One is certain that Aunty Iqbal will say that is a racist question, as he has turned muddying the waters into a fine art.